264 pages. 230x304mm. Printed on silk art paper, casebound with a colour dustjacket. NOTE: This volume is not published by BDL but privately by the author. The Lynton & Barnstaple Railway opened on Wednesday 11th May 1898 and closed on Sunday 29th September 1935. During its relatively short lifetime, it was widely visited and recorded by photographers, who left a rich archive of images to be enjoyed by historians, researchers and enthusiasts. The railway left its mark on the North Devon landscape and much of the line’s archaeology has survived, including earthworks, bridges, station buildings, rolling stock and equipment. Archives also hold archaeological information in the form of historic drawings and documents. Careful study of this surviving archaeology reveals layers of information that are not always recorded by photography alone. The author has spent over twenty years carefully recording and drawing this material and the results of this work are presented in this volume. The highly detailed drawings include locomotives, passenger carriages, goods stock, service vehicles, bridges and viaducts, culverts, signals and signal boxes, trackwork, station buildings, water columns, and all manner of miscellaneous items. 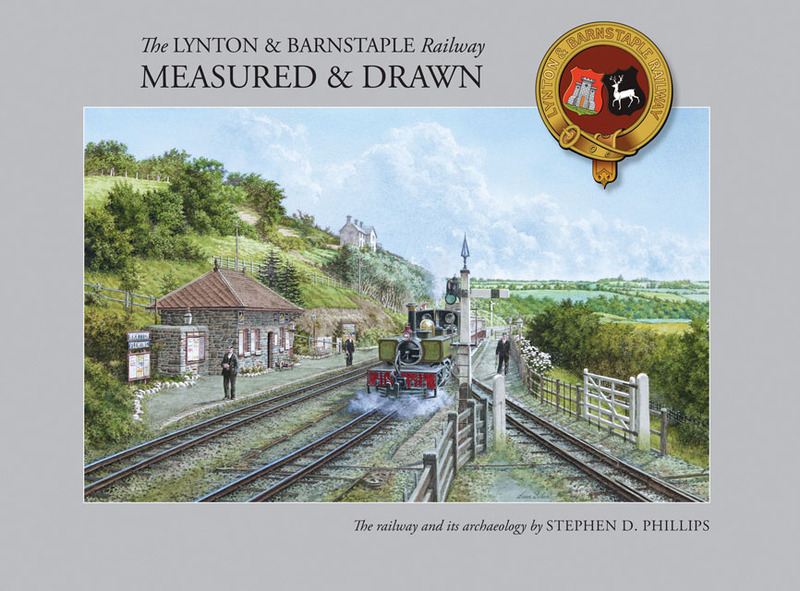 The Lynton & Barnstaple Railway had a unique character and charm, and it is hoped that this book will enable readers to get to know it in greater detail. This sumptuous, self-published volume of measured drawings is thus the culmination of more than twenty years labour, of detailed research, of field visits with plumb bob, tape measure, staff and level, recording and drawing what was found. From the humble concrete bridge number post to the impressive Barnstaple Town station, from the tiny 4-wheeled open wagons to the luxurious observation carriages, from the simple cattle creep to the magnificent Chelfham Viaduct, each has been meticulously surveyed, researched and drawn using primary source material. It provides a highly detailed archaeological record of England’s finest narrow gauge railway as it was before closure in 1935.